Have you ever said something to someone in the heat of the moment that you later regretted? Have you found yourself burning with rage and nearly exploding because of the behaviors and habits of others? 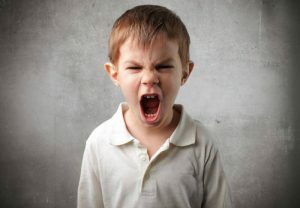 Like all the other emotions, anger is also a normal and healthy human emotion, which people express on a daily basis, when they encounter situations that are out of their control and cause them distress. However, when it starts to control and affect your life and the lives of people around you, it is a sign that it might be a bigger problem than you realize. An intervention is needed when the expression of anger is more abusive, and out of control. Here are a few anger management tricks that can help you take charge of your anger and control it in a healthy way. Until and unless you accept that you have an anger management problem, you will not be able to do something about it. Denying that you are angry even when your body is burning with rage and fury will not do you any good. Acknowledgement of the anger will motivate you to find solutions to control it in a healthy manner. It does not mean that you have to let it out, just accept it to yourself and know about the person towards whom the anger is directed. There are certain people and situations that make us lose control. When you know the triggers and stimulators for your anger, you will be able to distance yourself from them to keep your demeanor calm and controlled. When you know about the sources, you will take hands-on steps. This can be done by writing in the journal whenever you are in the bad mood to figure out the pattern or individual who is pressing your buttons. You also need professional help if the causes of your anger are deep-rooted childhood experiences that are ingrained in your subconscious. By practicing mindfulness, you will be able to detect and stop the anger from making a mess. This practice will bring peace, and will help you in analyzing the gap between your thoughts. If you are having negative thoughts about someone again and again, it is an early sign of anger. Similarly, if a thought, an individual, or a circumstance is causing physical sensations and reactions such as a pounding heart, fidgeting, fist clenching, and many more, it is a warning sign of anger. Just by acknowledging it, you will be able to reduce its intensity. Distorted cognitive thinking elicits anger in an individual. In order to reduce your angry reaction, you need to manage your thoughts. This can be done by looking for evidence that justifies the thoughts you are having. If you fail to come up with any proof, this means that it is most likely that your assumption is false and there is no use getting angry over something that is not accurate. Moreover, you can also reason and look at the situation from a different perspective instead of assuming a negative viewpoint. So change your thinking pattern to calm your fury, and manage it in a healthy way. By being patient in an anger-provoking situation, you will be able save yourself from regrets. Anger is in reality, the consequence of losing patience. The minds of individuals stop functioning when they are blinded with anger. Therefore, patience and anger are inversely proportional to each other. If you do not react in a moment of anger, you will have time to think over the reasons, and will be able to resolve it by rational thinking rather than just an emotional outburst. Meditation is one of the best ways to relax your nerves, and let go of anger. Instead of speaking back, take a deep breath and try to cool yourself off. Some people tend to remove themselves from the situation. Although it is effective for the short term, in the long run, this strategy will make them run from their problems instead of facing them. Therefore, meditation helps in clearing your thoughts, reasoning with them, and then expressing yourself calmly. As Maya Angelou said, “Bitterness is like cancer. It eats upon the host. But anger is like fire. It burns it all clean.” Manage your anger to protect yourself and others.